BCA has announced the appointments of Greg Taylor as commercial director – corporate, and Matt Bristow as commercial director – OEM. Greg Taylor joined BCA in January and takes responsibility for the development of BCA’s customer proposition across the leasing and rental sector, with Sara Stainsby, corporate sales director, reporting directly to him. Taylor, who’s a qualified accountant, started his career as financial planning manager at LeasePlan and brings more than 20 years experience in the contract hire and leasing sector, most recently as managing director of Essential Fleet Services. 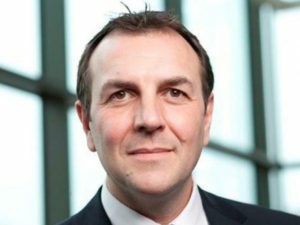 He has also previously held roles as operations director at ALD Automotive and commercial director at Alphabet UK. Matt Bristow takes responsibility for expanding and enhancing the customer proposition with BCA’s OEM customers. He joined BCA as manufacturer sales director in 2016 and previously held a number of management positions with BMW during 16 years with the company.